Eugeni Quitllet loves exploring the very essence of objects. 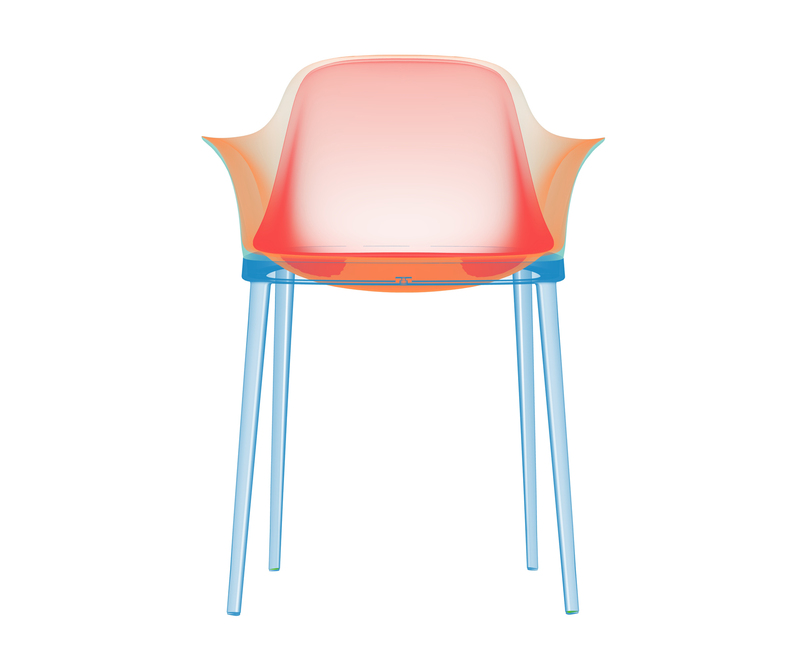 This is certainly the case with Elle, the chair designed for Alias. 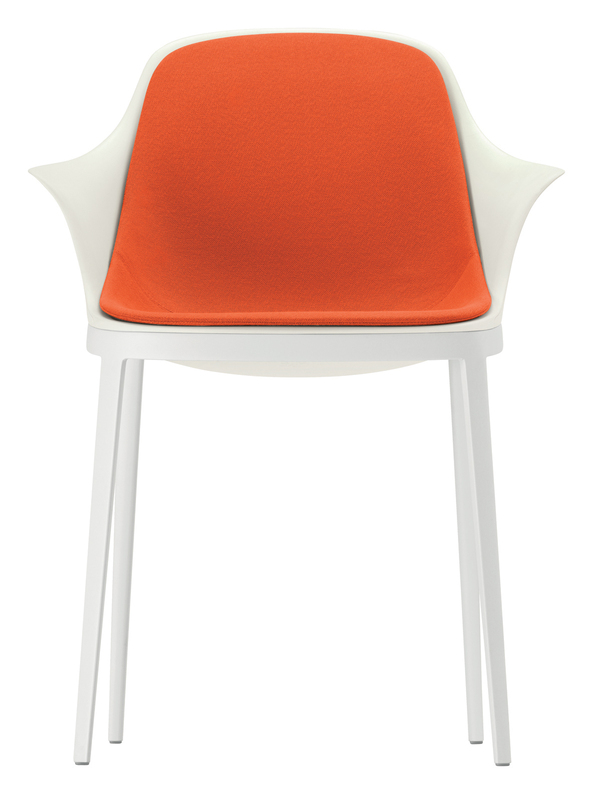 Elegant and confortable, it has a sensation of dynamism created by the slight forward inclination of tis base. 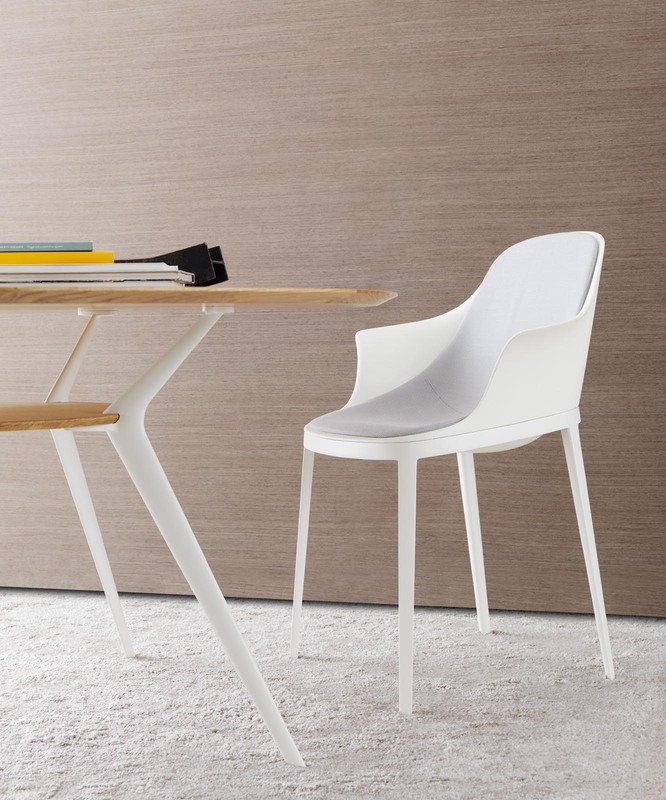 The chair features a number of small ergonomic devices, like the slight dip in the seat, thereby guaranteeing a sufficient standard of comfort. Elle is avaliable in a number of different versions. The stove-enamelled or polished aluminum structure supports the polyurethane shell in different colours or covered enterely in hide. The comfortable polyurethane shell can be fitted with an internal cushion, with or without arm, covered in Kvadrat fabric or leather. 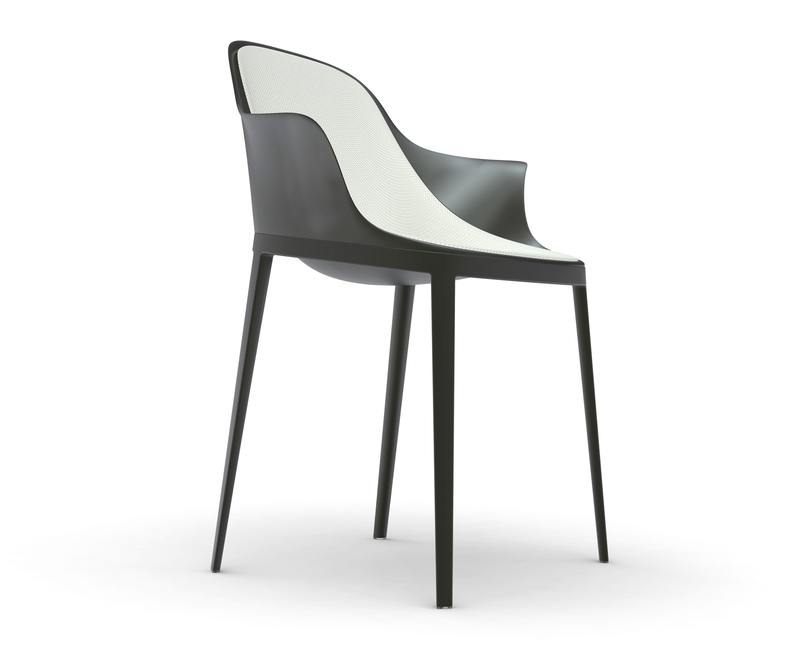 Material: injected polypropylene and die cast aluminium, fabric or leather. 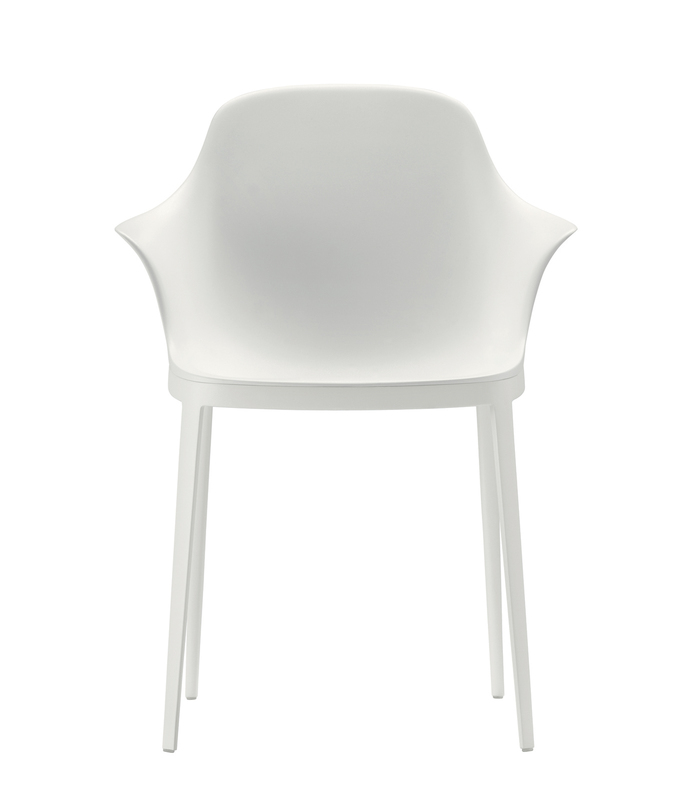 Material: injected polypropylene and die cast aluminium, fabric or leather.